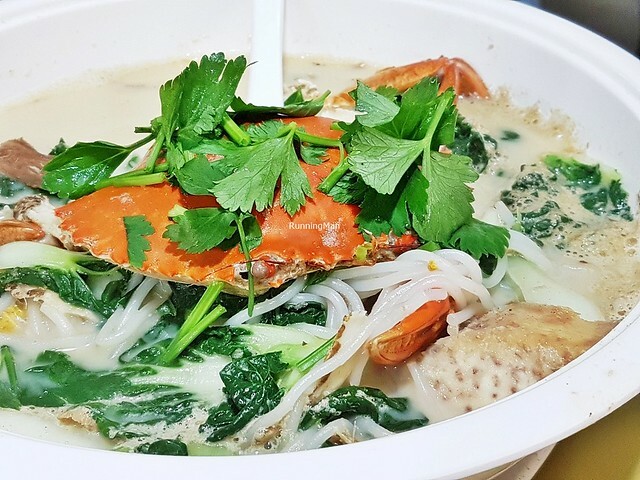 Since giving up his other business, Don Your Personal Pie Club, in November 2014, founder Don Lim has struck out in a different direction, opening Don Signature Crab in March 2015. Since then, he's been serving up fresh, delicious crabs, cooked in a variety of methods, at wallet-friendly prices. Expect a wait of up to 30 minutes during peak periods! 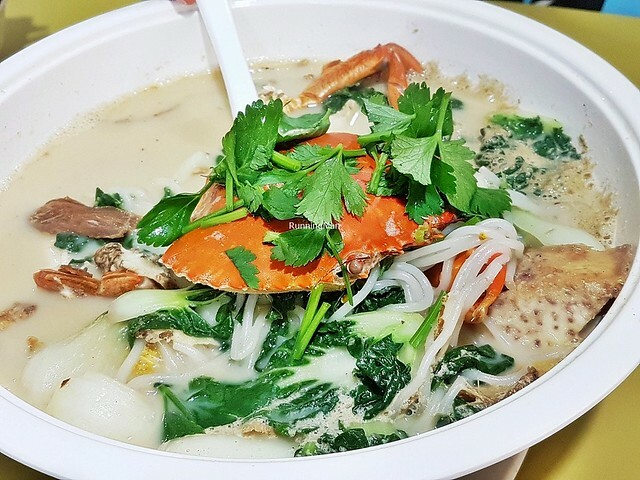 Ambience at Don Signature Crab draws upon the heartland coffeeshop it's located in. Think bright fluorescent lights, functional metal, plastic, and wooden furniture, with minimal decor, but a bustling atmosphere. There's ample seating, suitable even for large groups. In the evenings, nearly everyone dining here is a customer of this stall. 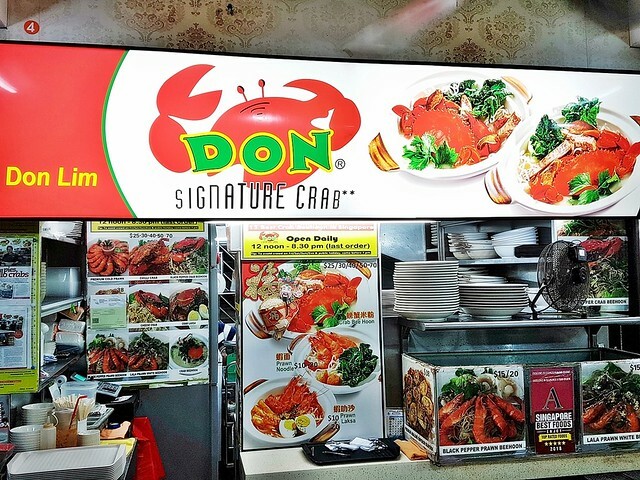 Service at Don Signature Crab is partial self-service, with ordering and payment at the stall, with a short 5 minutes queue time. Staff display good product knowledge, able to accede to requests and offer suggestions. 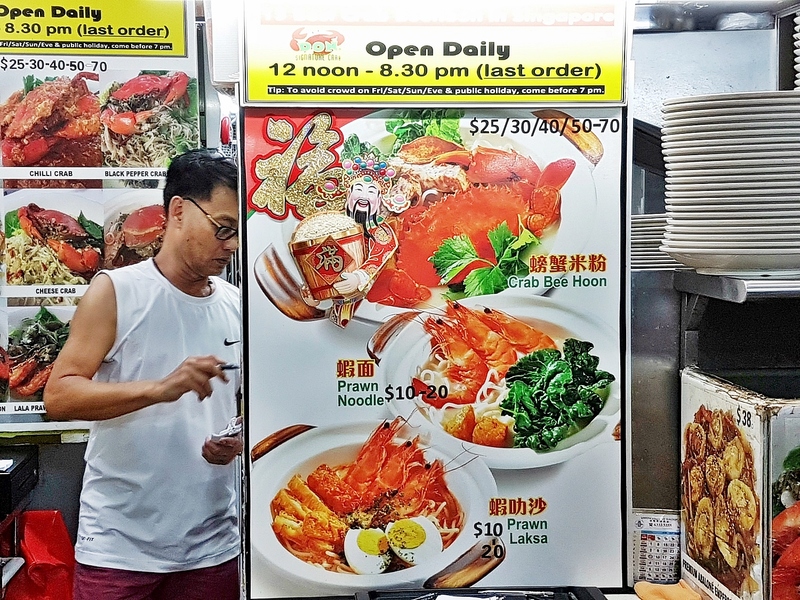 They'll serve orders to your table, but as every dish is prepared to order, the wait can take up to 30 minutes, depending on the crowd. 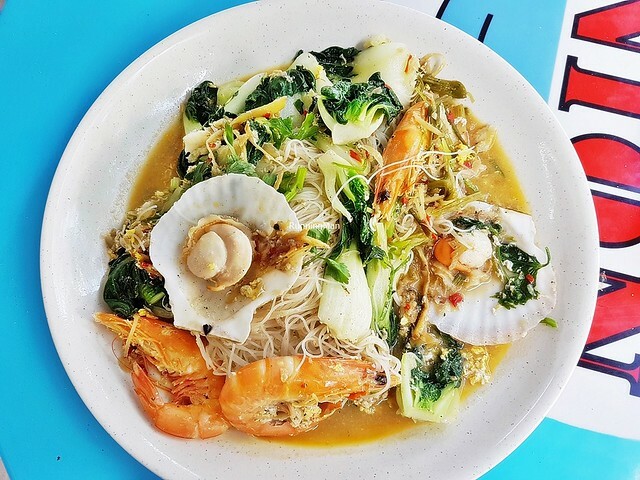 Food at Don Signature Crab is Modern Singaporean cuisine, with a focus on seafood, especially crabs, clams, and prawns. 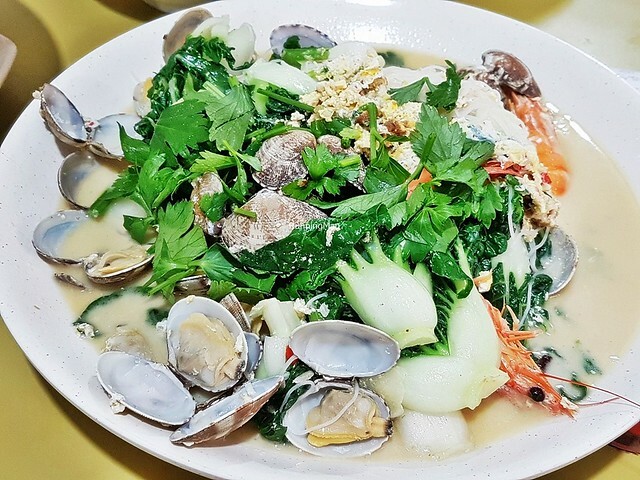 Each of these 3 ingredients feature prominently in dishes, and Don Lim uses only the freshest seafood, cooking each delicious, well-executed dish himself. Portions are large, sized for communal group dining. 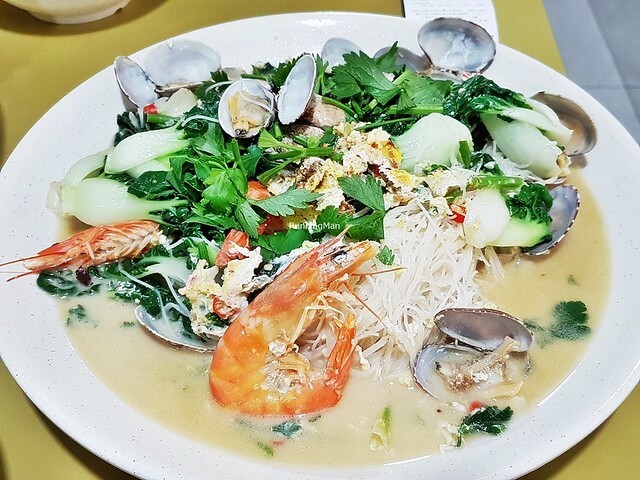 However, prices are affordable and wallet-friendly, budget about SGD $15 per person for a meal here. 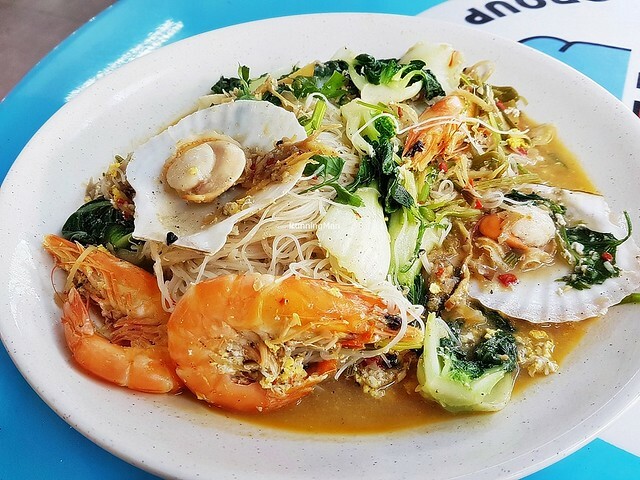 The house signature dish, and one of the best renditions (top 25) of it in Singapore, is the Crab Bee Hoon (SGD $25 / $30 / $40). 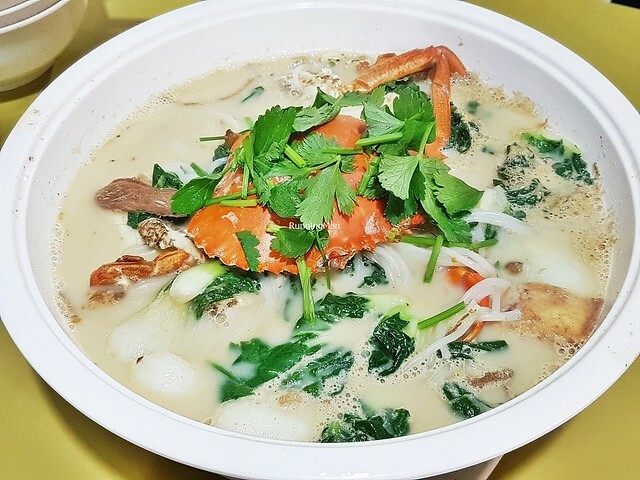 Served in a fragrant, hearty soup / broth of crab stock, Shaoxing Chinese rice wine, evaporated milk, ginger, and tang kwei / dang gui / angelica root, the dish features a large, fresh, meaty Sri Lankan crab, over thick rice vermicelli noodles, crunchy nai bai / milk cabbage, tender chunks of yam / taro, and parsley. The flavour profile is savoury boozy sweet, with a warming herbal note, and is very tasty. Good! 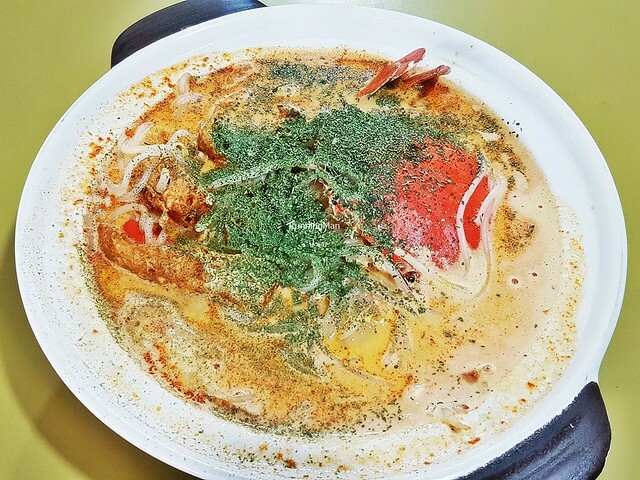 The Claypot Crab Laksa (SGD $25 / $30 / $40) was decent at best. This didn't quite appeal to me, as the taste was mild instead of robust, a likely result of not enough dried shrimp and chili. 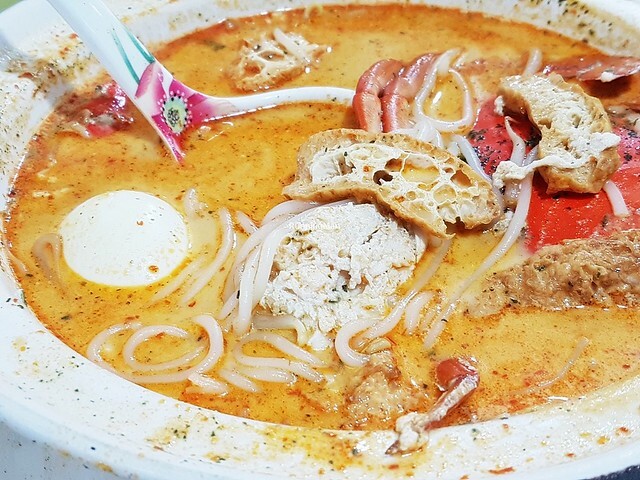 This large claypot dish features a milky savoury spicy laksa broth (made with shredded laksa leaves, coconut milk, dried shrimp, lemongrass, galangal, ginger, candlenuts, shallots, powdered turmeric, coriander, and chili), garnished with thick rice vermicelli noodles, crunchy bean sprouts, spongy dried tofu beancurd puffs, a hard-boiled egg, and a large, fresh, whole crab. A novel idea that is decent at best. 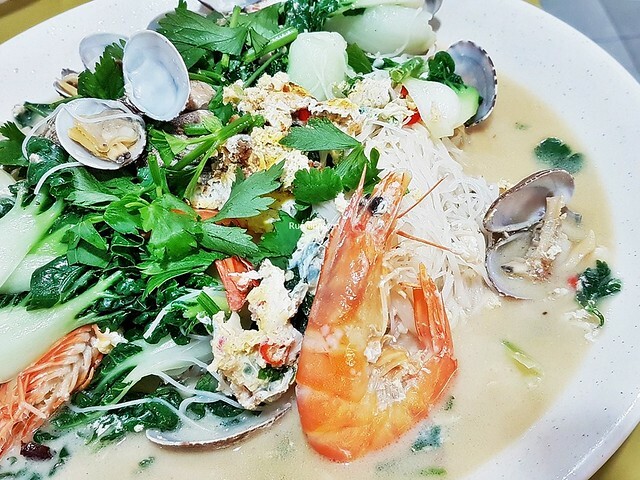 The Prawn Lala White Bee Hoon (SGD $15 / $20) features thin rice vermicelli noodles, tossed with eggs, meaty white clams, large fresh tiger prawns / shrimp, crunchy nai bai / milk cabbage, and parsley, in a bold, tasty gravy of seafood (clams, prawns / shrimp) stock, Shaoxing Chinese rice wine, sugar, evaporated milk, garlic, white pepper, and chili. The flavour profile is sweet savoury eggy, with a light spicy kick that makes it even more addictive. Delicious and satisfiying. Highly recommended! 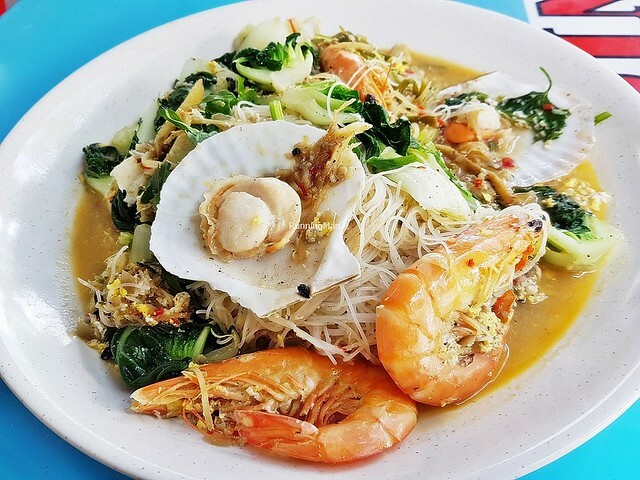 The Prawn Scallops Black Pepper Bee Hoon (SGD $15 / $20) features thin rice vermicelli noodles, tossed with eggs, shell in scallops, fish cake, large fresh tiger prawns / shrimp, crunchy nai bai / milk cabbage, and parsley, in a bold, tasty gravy of seafood (clams, prawns / shrimp) stock, Shaoxing Chinese rice wine, sugar, evaporated milk, garlic, black pepper, and chili. 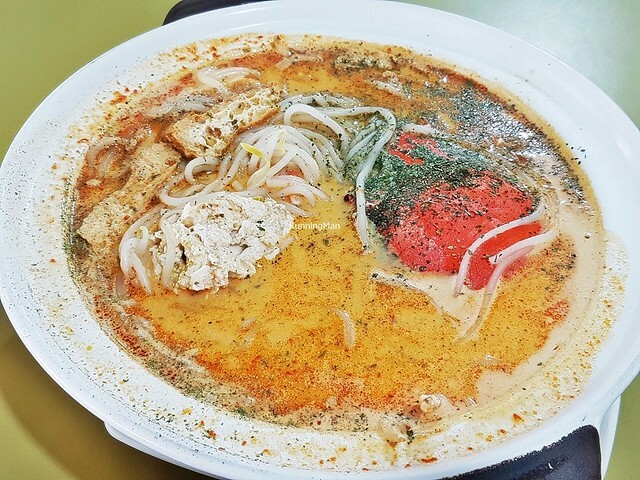 While all but 3 of the ingredients are similar, the taste profile is very different, being bold and punchy, with a heavy savoury peppery spice flavour. Personally, I perfer the white pepper version, over this black pepper version.